I was speaking at a PMI conference in Sweden and took the opportunity to listen to some of the other speakers, one of whom was Henrik Kniberg. Henrik is a guru on agile and lean and he told the story of a rather large public sector project in Sweden. The inadvertent experiment was that they did the same project TWICE! To start with, Henrik discussed what “success” is and he defined it as being happy customers, happy users and happy development team. With apologies to PMI’s “triple constraint” he said to forget about time, cost and scope . . . actually this bit of the talk mirrored the start of my own talk at that conference, so “Mr Classic PM” and “Mr Agile” are on the same page. Why you undertake work is more important than what or how you deliver. Henrik’s different perspectives on success, over and above the “triple constraint”. This thinking matches my thinking in Project Workout. Henrik’s case study was all about improving society by helping the Swedish police force work more effectively. You’ve all read those dark, gloomy Scandinavian crime thrillers, so you get the idea. As we were in Sweden in “Wallender” country, it all seemed appropriate. It took two years and comprised a series of releases, starting with the first one after 6 months, which the police hated, then after 18 months a nation-wide release and ending up with something they all really liked. SUCCESS! Measured impact: Police blocked from using it several hours a day; error rate increased. Listen to your technical people not just to a vendor selling stuff. 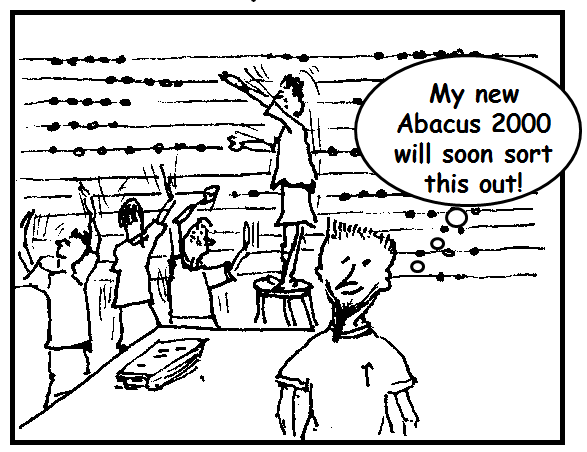 How many of you are building major capabilities on the promise of using a “standard” platform? I can certainly think of one I was involved with recently! How do you think the re-platforming should be handled? . . or even should it be done at all, if what is there isn’t broken? What about migrating from one to the other? Should we always design this in from the start? Or is it like turkeys voting for Christmas? So agile is always better, is it? Oh, and the stuff about ‘agile’ and ‘big bang’? That is just a red herring. You should use whatever delivery approaches are appropriate and proportionate to what you are doing. I expect some people reading this have had senior executives issue an edict: “do all projects agile!” This approach is just as mistaken as not trying agile at all – it underlines the classic IT confusion between a development approach and a project method. It’s not a case of ‘agile’ versus ‘project management’. 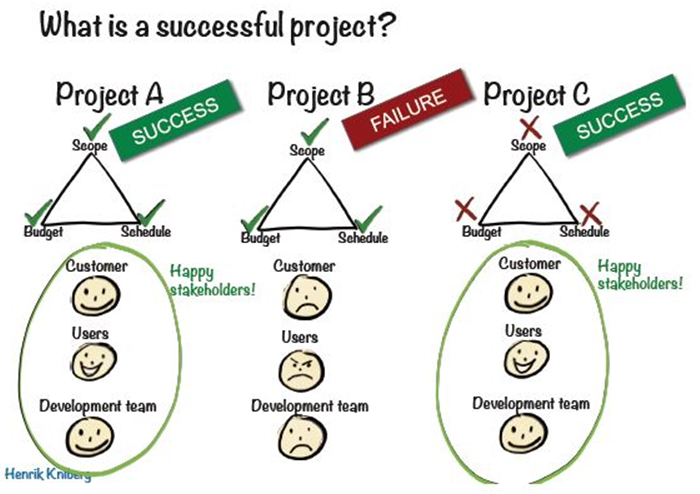 Nor of thinking ‘waterfall = project management’. ‘Agile’ and ‘waterfall’ are delivery methods. Project management is a wrapper, which can contain any number of delivery methods, depending on the type of deliverables being produced. I am delighted to tell you the 5th edition of The Project Workout has been published by Routledge. The Project Workout, aimed at project sponsors, managers and their teams. The Programme and Portfolio Workout, aimed at business leaders and, programme and portfolio directors and managers. 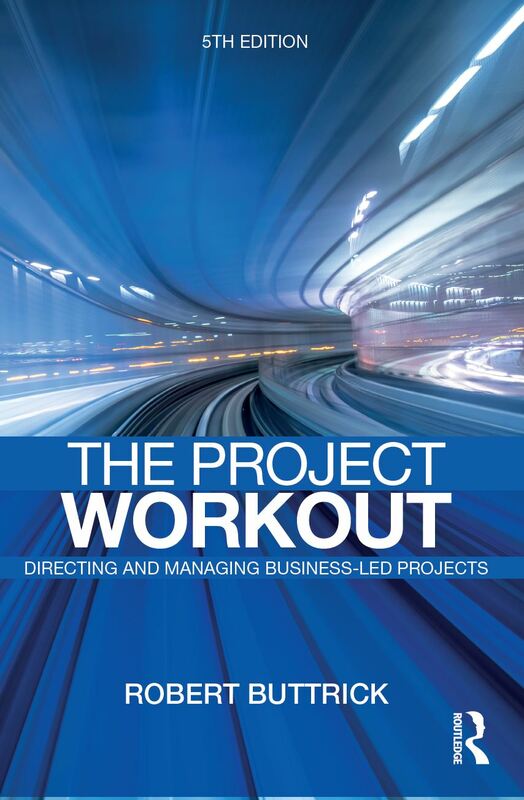 The revised edition of The Project Workout maintains its ‘business-led’ approach and contains a wealth of new material on governance, monitoring and control, resource and information management and working with standards, such as ISO 21500, BS6079, PRINCE2®, APM Body of Knowledge and PMBOK® Guide. Its companion, The Programme and Portfolio Workout, is due out in 2019. It draws on the same principles and approaches as The Project Workout, but looks at them from the viewpoint of senior executives who have either a programme to manage or an organization with many programmes, projects and other work going on, all competing for scarce resources and funding. Together these books will give you what you need to ensure all your projects succeed. As they say, available in paperback, hardback and eBook from the publisher, Routledge, as well as Amazon, Blackwell’s, Waterstones and all good book shops! Audits and assurance. What’s the difference? What is the difference between an “audit” and “assurance? I was recently asked, “What is the difference between an “audit” and “assurance”? I like simple questions like this as they can tease out a lot of hidden meanings and misunderstandings. These two words are used frequently and in many different contexts; most of the time people understand what is meant . . . but not always. It is only when the question is asked, that you have to put your brain in gear and start thinking. User assurance – checking users get what they need. You also find the word “review” is often tacked on to “assurance”, hence “assurance reviews”, which can add whole new dimension. Audit: 1) an official examination of accounts 2) A systematic review or assessment of something. Assurance: positive declaration that a thing is true. “Audit”, being associated with financial accounts and independent auditors, has an “official” connotation; audits are usually planned, formally undertaken events. In the case of financial audits there are very strict rules on how they are conducted. People are often very wary when told the auditors want to see them; they often think in terms of “passing an audit”. Personally, I have found in healthy companies people welcome audits as it gives them a chance to raise issues which they have found intractable. Audit — an intensive examination with the highest level of assurance. “Assurance” is different, you can have an “audit” or a “review” but you do not have “an assurance”. It is more of a state; you are assured that your project will meet its business objectives. Audits and reviews are simply two forms of assurance related activity. Where does risk fit into this? 1st line: business operations, who own and manage risks; risk and control in the business, ensuring the identification and treatment of risk is built into standard management practices. 2nd line: oversight functions, who design policies, set direction, introduce best practice and ensure compliance to ensure the whole management effort works as an integrated whole. 3rd line: independent assurance providers such as internal audit and external assurance providers. So what can you do in practice? So what does this all mean for you in a programme and project management context? As always, it depends. You are likely to have this problem if you are responsible for a company-wide programme and project method or if you are responsible for a major programme. If you are a programme o project sponsor then “assurance” is a key aspect of your role. You will be the one asking for audits and reviews . . . although your senior management may also call for them. In a company context, check how the terms are already used; make contact with the internal audit department and the risk group and work with them. In a programme context, decide how much you want the programme to be driving audits and reviews and how much should be driven externally, always remembering that at a programme level, you’ll need to fill any gaps in corporate capabilities. If there is no corporate audit or review capabilities, the programme team will have to design everything, except the 3rd line of defence assurance, themselves. a single risk management procedure for use at any level in the programme from work package upwards. The programme and project management risk procedure dovetailed into the corporate risk management process, using the same terms and activities (based on ISO 31000). This ensured ease of transfer of risks across boundaries and simpler tools support. The audit procedure was based on group internal audit’s formal auditing process. This was only used on major programmes which had their own quality and assurance departments. By mirroring group internal audit’s approach we ensured that the method could not be challenged, ensuring that the findings and recommendations were the focus. The review process was designed to be used by programme and project management practitioners, not directly involved in the work, to review the work of others, based on a brief given by the sponsor. It was simpler and quicker than an audit as it took a less formal approach and was supported by (but not limited to) check-lists and tools. I expect many of you, on hearing the word “process” may have some bad feelings based on your experience. Perhaps there was a critical point in your programme and you were side-tracked by someone telling you that you hadn’t gone through the seemingly trivial, but lengthy, check list on page 42 or perhaps the processes you had to use didn’t really help you and any feedback you gave just went into a “black-hole”. That’s all very legitimate and this is indicative of “bad” processes. 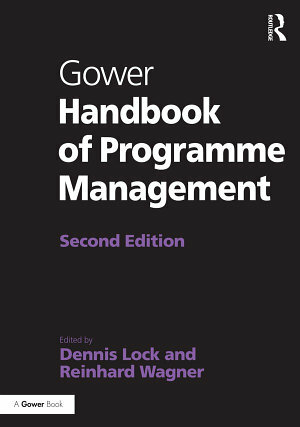 This year Gower launched their 2nd edition of the Handbook of Programme Management and I was asked to write the chapter on processes. Good processes are key to increasing organizational maturity and hence business performance. They are also essential if we are to manage through the increasing levels of complexity which face us; have a look at my two minute video on why processes are becoming more important and why we can’t ignore them. Project gating? CFOs at Shell and Coca Cola really believe in it. Shell CFO calls for open-minded approach to innovation – says the headline. I was sent the article at the foot of this blog; it comes from Accountancy Age, Wednesday May 22nd, 2013 and shows that effective project management and accountancy are intertwined; you can’t have effective projects without having the financial systems to track them and you can’t honestly say you are in control of your business if you don’t have effective project accounting. And finally, provide the funding for the next chunk. They are the BIG decision points and should not to be confused with what are often called “quality gates”, which look at, quality (believe it or not!). Like many terms in business, “gate” can be over-used and abused. Properly applied, project gating can radically change business performance. I saw one case where product development output went up ten-fold due to effective gating, rather than the “shove it all in the hopper” approach. Time to market was also reduced dramatically. To get this right, organisations need effective “project portfolio management”, where the project portfolio is effectively part of the business plan. This is where the business needs originate. If portfolio management is to work effectively, we need to be good at programme and project management as whilst the demands for projects come from the “portfolio”, the feedback on achieving the portfolio’s objectives depends on how well the projects are undertaken. I was at the London Gartner Forum last year and the vital linkage of business strategy to portfolio to project kept coming out in the talks. Gating was seen as essential for this. So what could this mean for your organisation? Projects are the vehicles for change and making the business of tomorrow. A good strategy or business plan, without “good execution” is worth nothing. Programme, project and change management are vital disciplines in making it happen. Programme and project performance can only improve so far through the efforts of project managers. It is only through effective portfolio management we can hope to improve further by making sure our projects really do meet the business need and ensure we stop authorising projects which we haven’t the resources to do – that just slows down everything and stresses our people. If benefits result from projects, then it makes sense that funding goes to the projects and NOT to the departments who spend the money. . . and definitely not on an annual basis (unless you business is so old fashioned as to be based on the Venetian traders’ model). If you give any department money they will spend it, regardless, so really on cost centre budget control will prove disappointing! If you are to give money to projects you need good project accounting capabilities which work on the “matrix” and not just down the silos. The great thing is that companies like Coca Cola and Shell recognise this; the sad thing is that the state of corporate management is that such an approach is news worthy and that so many organisations are still tied to cost centre accounting and ad-hoc spreadsheet driven project “accounts” (if any). What sort of company are you in? To learn more about gates, see Part 2 of The Project Workout. To learn more about effective project accounting, see Chapter 17 of the Project Workout. QUOTE: MANAGEMENT ACCOUNTANTS must be less “mechanistic” and take a more open-minded approach to innovation, according to the chief financial officer of Royal Dutch Shell. Writing in a report by CIMA and the AICPA on innovation in the finance function, Simon Henry, CFO of oil and gas giant Shell, has urged finance functions to play a greater role in driving company innovation. Shell has an innovation programme that includes a $1.5bn (GBP 1bn) annual R&D budget and also invests around $4bn on innovation within the business. According to Henry, the role of finance within this is multifaceted. “A finance function needs to be able to understand the business well enough to know what is a worthwhile activity, but also, in this part of the business, to have a bit more of an open mind. It is less mechanistic, and has the ability to live with ambiguity, to identify risk and to manage it,” Henry said. Describing Shell’s approach, Henry said the company has a ten stage “gate process” to provide funding for innovative projects. “At each stage gate you can say, this is going to be funded by Shell through to the next four stage gates, at which point we’ll take another decision. Or we put it into a joint venture and we keep an equity stake. So there are different routes to commercialisation,” he said. I was speaking at a PMI conference in Sweden, last March, which gave me the opportunity to sit in on a number of other sessions. This one is all about resource management, given by Peter Kestenholz. If you are to be successful, you must have the right number of skilled people. only 2% have been trained on the process and tools. All of them had BIG issues with how resource management worked (or more accurately, didn’t work) in their organisations. Some ignored it and others had enormous spreadsheets to try and get a grip on the issue of making sure the organisation has the resources to do the work that needs doing. By enormous, I mean at the limit of Excel as a tool. Yes, most use spreadsheets. It sounds dreadful! Manage investment aligned to strategy. Today, Gartner says the need for resource management is still one of the top three reasons companies invest in PPM tools. Not a lot has changed. The vision of many senior managers is that they should be able to “drill down” to get any information they need at the level they need it. . . . but few can do this. Have an executive sponsor define the business requirements for resource planning and transparency. Understand the rationale. Without this, don’t bother any further as this drives everything else. 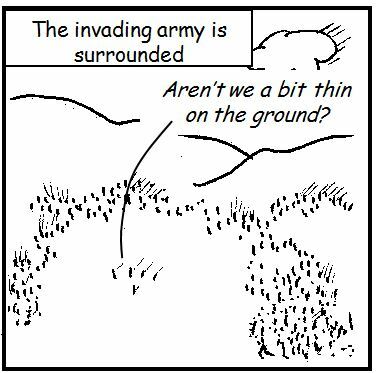 Be clear on what you mean by resource capacity. Net? Gross? Overtime? What is a FTE? What formula will you use for any calculation of resource capacity? Ensure, a person can have many skills associated with him/her. HR should own the Organisation Breakdown Structure; hold them to account for keeping it up to date. An out of date structure will break your process. Ensure any tooling can cope with the continuous churn of organisation structures and people allocations. Decide how many different jobs a person can be forecasted to work on. Be clear if people can be asked for by name? by role or by skill (or any of these). Get rid of your spreadsheets! However, people are used to using these, so consider tools with a similar (and hence familiar) look and feel. Ensure your approach deals with leavers and joiners. For example, be able to forecast a person’s assignment even though they haven’t joined the organisation yet. You can read more about enterprise wide resource management and tooling in Part 3 of The Project Workout. Example A starts well, in that there are a number of stages depicted. Unfortunately we know nothing about where the decision points are. Where does the project start or end? Also, the stages are called “stage-gates”, further confusing things. Example B has the same issues as example A except that a number of decision points have been added. This, however, doesn’t clarify matters much, for example, is stage gate 1, the first stage of the project or the activity before the project starts? Example C has all the issues raised in examples A and B, except in this case it seems the decision points (gates) are labeled as “stage-gates”. I wonder what the stages are called – gate-stages? Notice the numbering, which infers that the “gates” are decisions at the end of a stage, rather than decisions to start a new stage. “Stage-gate” is actually a registered trademark devised by Robert Cooper, to describe his stage-gate process for new product development. If you do a web search for R G Cooper or “stage-gate” you’ll find lots of good articles. If you read them, you’ll see that there is no such thing as a “stage-gate”; it is simply the name he gave to his new product development process. Like my own work on project management, he talks about “gates” and “stages” as being different but related. In the Project Workout I use circle, arrow and diamond icons to ensure that the above mistakes do not happen. This form of iconography is now enshrined in the latest British Standard (BS6079 Part 1). If you haven’t seen it, then you really should get a copy. A circle depicts activities which happen before a project starts or after it is completed. A diamond represents a gate. An arrow represents a stage. So, if you are designing a project lifecycle for your project, don’t fall into the real-life traps highlighted in the bad examples above above; make sure you understand the difference between a gate and a stage; avoid “stage-gate” (you may have to pay royalties!) and make sure your depiction of the lifecycle is clear and unambiguous. Book: Chapter 3 of the Project Workout tells you all about project lifecycles, helping you to design one that works for your situation. Chapters 5 to 11 describe the detail for each stage and then in Chapter 12 it tells you how you can tailor it. Articles: You’ll also find some articles you can download from the community pages of my projectworkout.com site. Click for yourself: you can investigate the model in the video above yourself. Go to the community pages in my projectwout.com site. Another blog on the topic:Lifecycles and fuzzy back-ends. 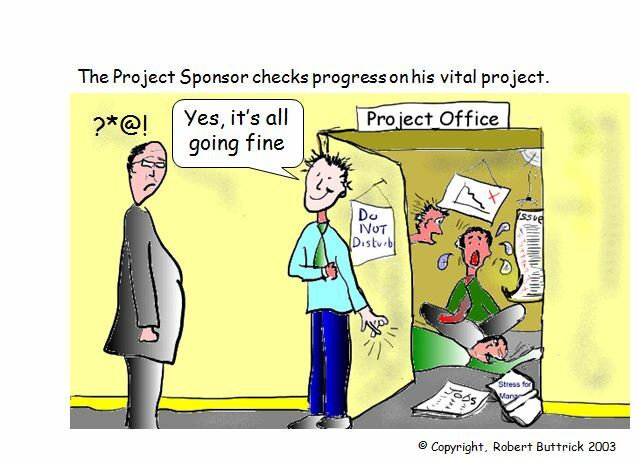 Do poor project sponsors drive failure? I was speaking at a PMI conference early in Sweden in March, which gave me the opportunity to sit in on a number of other sessions. This one is all about programme and project sponsorship. It is a topic close to my heart and one I have blogged on before and no doubt will again . . . but is is a topic that business leaders actually care about? 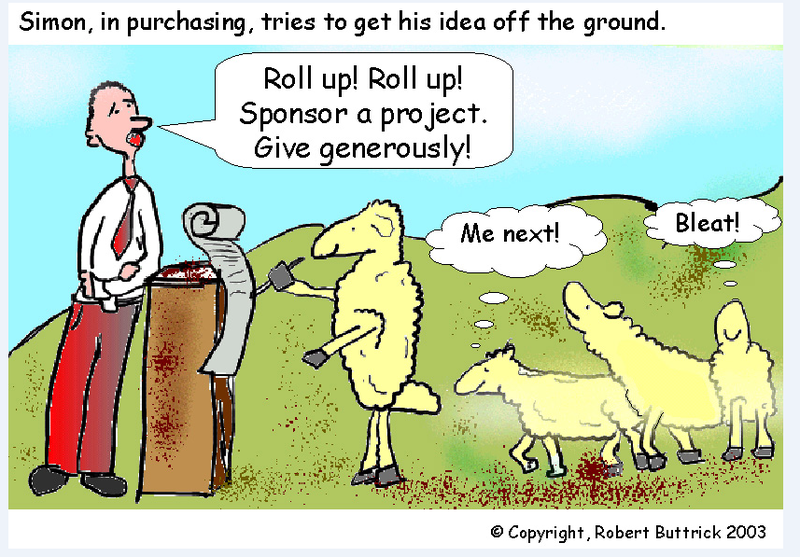 In programmes and projects, sponsorship is not like sponsoring Tom to run a Marathon. Do too many business leaders believe it is someone else’s job? 100% of respondents believed that having a good sponsor was key to project success. PMI’s recent Pulse of the profession showed that those organisations with active sponsors are more likely to have better project outcomes. This is supported by Colin Price’s research (McKinsey). Standish believes ‘The most important person in the project is the executive sponsor. The executive sponsor is ultimately responsible for the success and failure of the project’. I agree. BUT most spend business leaders spend less than 5% of their time on sponsor related activity, yet this is all about making change happen – leading change. . . . and mismanaging change is the commonest reason CEOs get fired. If you look at project failure, six reasons are cited and the top FOUR of those come under the accountability of the sponsor. Sponsors are just expected to ‘know’ how to do the job. Is it even worth bothering about? Peter argues that those figures are certainly worth thinking about.I certainly agree. I also wonder that if senior leaders are only spending 5% of their time on sponsorship, what are they actually doing and who do they think is looking after the future of the business? Since the Project Workout was first published, I have advocated projects as the vehicles for achieving strategic objectives or as I often say, projects are the vehicles of change. 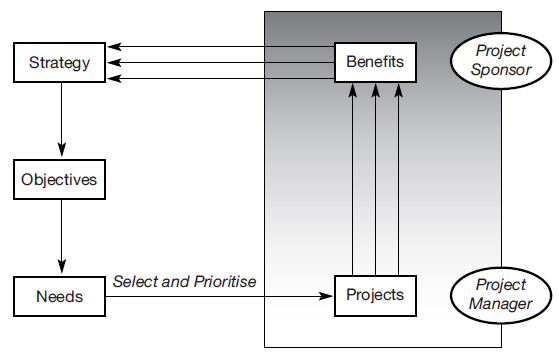 When I first wrote this in the late 90s, most people were still focused on deliverables and outputs, but, I am pleased to say the drive to towards benefits driven project management as standard is gaining momentum. This blog picks up on Steve Delgrosso’s views. This mirrors McKinsey’s Colin Price’s findings about the essential role of the project sponsor in his book, Beyond Performance Management. It also mirrors the view that to be effective, senior management must not only have a vision, but also be able to communicate it. A look at PMI’s research shows that organizations report that only 52 percent of their strategic initiatives are successful. The failure of strategic initiatives has a significantly greater financial impact than just project failure: they say that nearly 15 percent of every dollar spent on strategic initiatives is wasted–US$149 million for every US$1 billion spent. By comparison, PMI’s 2014 Pulse of the Profession® study finds that US$109 million is wasted for every US$1 billion invested in projects. So, not much seems to have changed since David Munt, founder of GenSight, did a similar study in 2002. His research suggested between 35 and 50 per cent of all investment is directed to unsuccessful projects and that about 30 per cent of project investment by FTSE 100 organisations in 2000 actually destroyed shareholder value! Strategic initiatives are the programmes and projects though which an organization’s strategy is implemented. By their nature, strategic initiatives drive change to transform an organization from current state to future state. Failed projects can result in huge financial losses for an organization, but a failed strategic initiative has an impact far beyond just the costs of the initiative. When an organization embarks on change, it’s likely that systems, processes, vendors and perhaps even the overall organizational mindset (or mission) will be impacted. Failure to successfully enable sustainable change can lead to an organization losing its competitive advantage. I have a feeling there will be a lot more blogs on this topic as it challenges the prevalent “iron triangle” or “triple constraint” view of project management, and builds on it. Developers of standard and proprietary methods take note! In the meantime, have a look at The Project Workout, Chapter 3, page 50 and Chapter 15, page 198, in particular. In an earlier blog I talked about the three necessary conditions if you are to manage your resources effectively (see Link). Resource management is a hot topic in many companies and is the primary driver for them implementing programme and project management systems. In the very short term this should be small. It will grow as you look further into the future. White space is fundamental to a organisation’s on-going health. If you haven’t any in the short to medium term, you are paralysed. You have no one available to change the business to meet new threats or exploit new opportunities unless you withdraw them from previously committed work. White space gives you the resources to effect change in the future. ‘We are in a fast moving environment’ is the common mantra nowadays. If this is truly the case, then you need to ensure that you have ‘white space’ resources ready to meet future needs. You know the people will be required but you are not yet sure exactly what for. If you have no people to change things, things won’t change. ● First, it must cover the need to undertake initial investigations from new proposals. People must be available at very short notice to do these and must be highly knowledgeable if the investigations are to have any value. ● Second, you need the resources to undertake the future projects or work. Compare the former to a company putting a bid together – if this is done by inappropriate people, the timing of when bid and what bids are needed is unpredictable, the bid may be lost or the company may have committed itself to a financial disaster. Just because business projects are ‘internal’ it does not mean you need not apply the same rigour as you would with external matters. It’s your organisation’s future at stake in both cases. The figure represents ‘white space’ in graph form. It could apply to a complete organisation, a division, a function or whatever. However, unless you can build this picture you will be taking risks every time you need to set off another initiative. 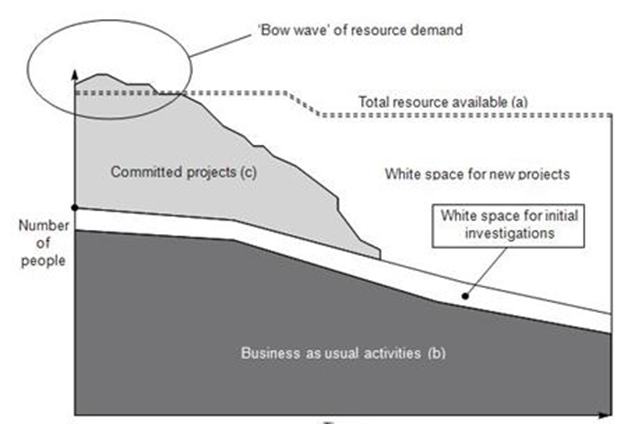 One of the challenges I have found is that many organisations plan on an annual basis and the financial controllers insist that every work item for the year is itemised and budgeted for, believing that this will ensure efficiency; they simply won’t allow “white space” and expect managers to have 20:20 forecasting vision . . . even in a fast moving environment. White space is what enables an organisation to be nimble, fast moving or agile (choose your own buzz word). You can find out more about resourcing in Chapter 16 of the Project Workout.